Oxitape is a moisture activated composite tape that cures in air or water to form a hard, protective shell which is chemical, UV, abrasion and impact resistant. It is suitable for application over TM198 in areas subject to heavy environmental impact both above and below ground, e.g. wave slam, impact from debris and for equipment to be buried underground. It is especially suitable for the splash zone in the coastal/offshore environment. Both products can be easily removed making it easy to conduct inspection and maintenance. 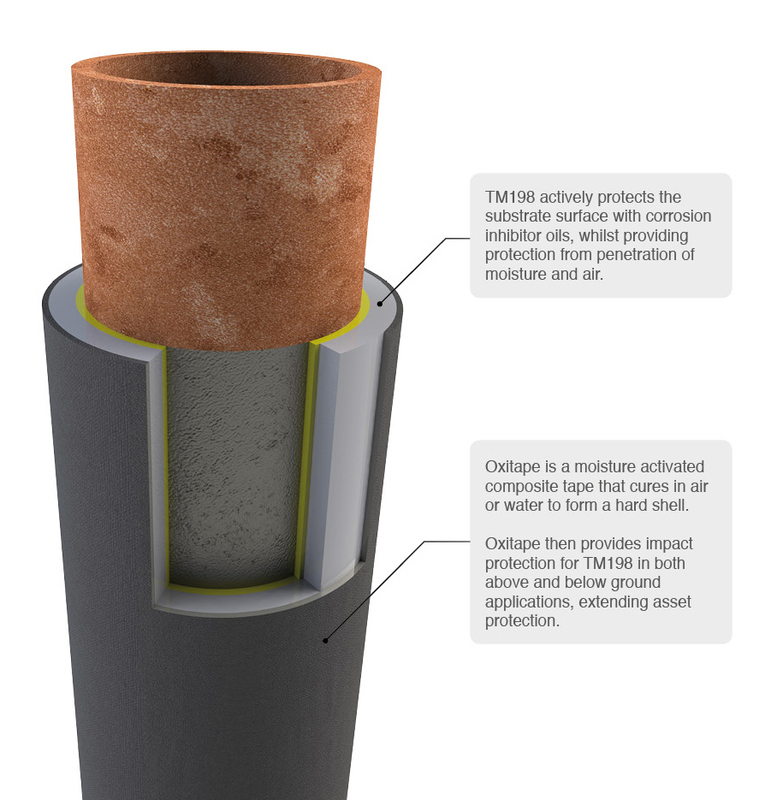 The combination of both Oxifree TM198 and Oxitape brings the benefits of TM198 to an even wider range of applications, assets and environments.